Johannesburg - Formula One’s final year-end battle will play out under the lights of Abu Dhabi as Lewis Hamilton and Sebastian Vettel take on the charging Red Bulls for the honour of wrapping up this year with a win. While this year’s championship has been largely Mercedes versus Ferrari, Red Bull has finally entered the fray. Building up for next season, Max Verstappen has come to the fore as he looks to cement his place in next year’s title fight. Ending this year with a race victory would be the best marker that he or Daniel Ricciardo could lay down. Red Bull may be down on power on Sunday, as Renault continue to struggle with a raft of reliability problems that have forced them to turn down the wick. As seen in Brazil, an underpowered RB13 just cannot run with Mercedes and Ferrari. It looks as if it will be this year’s usual suspects going at it again on Sunday, with Hamilton and Vettel in the thick of it as they were last season. 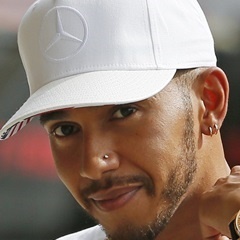 Last year, Hamilton’s win came under contentious circumstances as he was urged, cajoled and eventually commanded to speed up as he tried to drop his then team-mate Nico Rosberg into Vettel’s clutches, as that was his only chance of beating Rosberg to the title. He refused to do so and was later reprimanded by Mercedes for putting his interests ahead of the team’s. Hamilton won the race and Rosberg won the title. Twelve months later, all is forgiven and Hamilton has proven to be Mercedes’ number one driver. The British racer has already wrapped up the title fight, although P2 – a tussle involving his team-mate Valtteri Bottas – is still up for grabs, with Vettel 22 points ahead of the Finn. Only a win on Sunday can hand Bottas any chance of taking the runner-up slot from Vettel, but he’d still need the German to retire from the race. The Ferrari driver is without a doubt in the stronger position and arrives on the Yas Marina grid tied with Hamilton as the most successful driver at the Abu Dhabi Grand Prix, with three wins apiece. But while Hamilton has won twice in the past three years, Vettel hasn’t won here since 2013 and Ferrari have yet to take to the top step of the podium. Further down the grid, the fight for championship places continues with Toro Rosso on 53 points, four ahead of Renault, while Haas are a further two points off the pace. Adding some spice to this battle, last time out in Brazil, Toro Rosso and Renault engaged in a rather public spat as both flung accusations at the end. And while that has died down, engine reliability issues for Rosso this weekend could ignite it again. Formula One will be saying a fond farewell to Felipe Massa, whose retirement has been confirmed. Meanwhile, Pascal Wehrlein and Marcus Ericsson may or may not be competing in their last grands prix.